I logged on to my blog today and found I had a big spike in views. 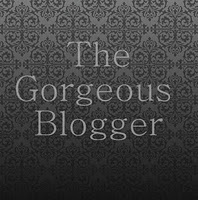 Upon further investigation (and because I had not said anything profound and invaluable today to justify the spike) I found out that Carol Fleming (American Bedu) had nominated me for the Gorgeous Blogger Award! 1- When did you start your blog? September last year, so I am pretty much a newbie. 2-What do you write about? Being a Saudi, Muslim mother of three beautiful children and about parenting in general. As I said in other descriptions, it’s not a ‘how to’ it’s more of a rant. 3- What makes your blog special? I enjoy writing it so much. And I think it shows. It also maybe gives a non political insight into family life in Saudi. But most of all it is honest and I only write about what I know. What really makes it special are the regular readers who visit and comment. Some I feel like I actually know personally. Not sure how weird that is though lol. 4-What made you want to start writing a blog? I love writing. I also thought it was a great way to document family memories that might be forgotten. I didn’t have any expectations when I started but I enjoyed it so much and Alhamdulilah so did other people. 5-What would you like to change in your blog? I would like more reader participation really. But I do not think I am there yet. When I build up enough readers I will definitely look into that. What do you think I should change? Layout? Graphics? Pages? Well done ‘ Mum’s ‘ everywhere….keep blogging! Thank you Raewyn, I hope you start a blog sometime (if you have time!) that would be a great read! I love the insights into your life and Saudi culture that your blog offers, and we can pretend we know each other – even if it is a bit weird! Thank you. That means a lot! I sill can’t believe I didn’t major in some wort of form or writing. There’s still time I guess. Wow..great news…Your blog is very special..its simple..funny and honest..